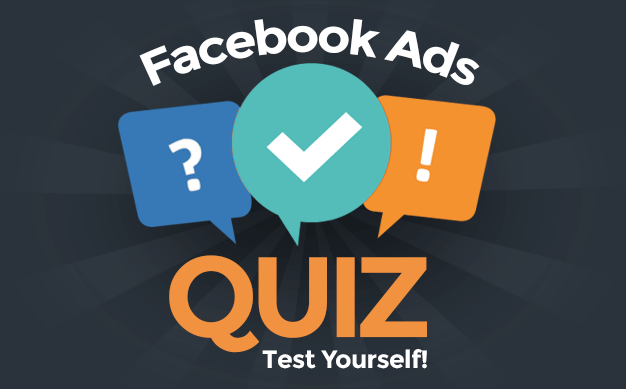 There are several variations of “clicks” found within your Facebook ad reports. Knowing — and not knowing — what they mean could vastly impact how you view results. Do you know the difference between Facebook clicks? Facebook has improved significantly in this area. You may not even realize how easy it is to find this info. 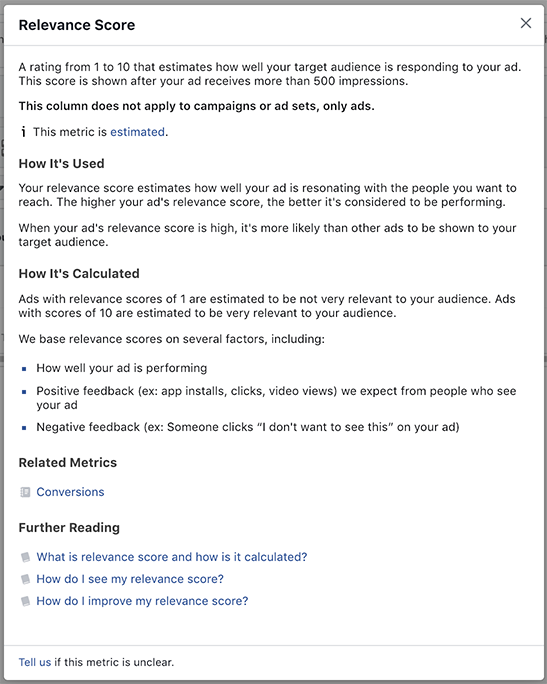 If you’re ever uncertain about what a Facebook ads metric means, simply hover over the header row in your ad report. As you can see, the hover definition is pretty good. But there also tends to be a “See More” link that provides even more info. Click that. I’ll pull the definitions from this information, but I’ll abbreviate and clarify the best I can as well. Quite simply, this measures the number of clicks on your ads. Any click. Easy. It’s everything. These clicks add up in a hurry. 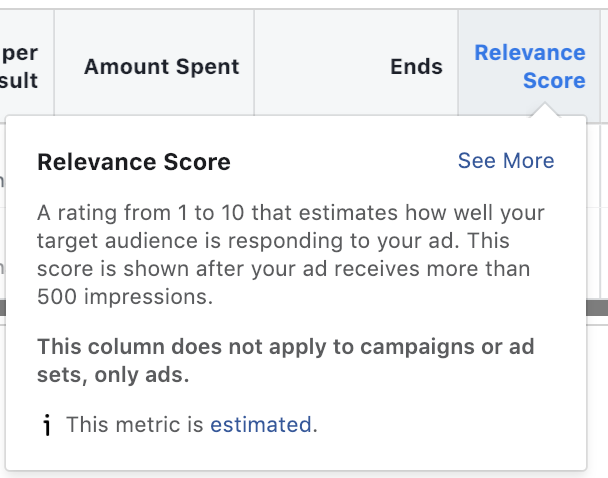 This is a good way to measure total engagement on your ads. However, it’s not where you should be looking when wondering how many people clicked through to your website. Facebook defines Link Clicks as “the number of clicks on links within the ad that led to destinations or experiences, on or off Facebook.” So, while Link Clicks are more focused than the Clicks (All) metric, they still include clicks on any links, whether they take people on or off of Facebook. The Link Clicks metric does a better job than Clicks (All) of isolating higher quality clicks that are related to your objective. However, remember that this still includes clicks to destinations on Facebook as well. Now that you know how a Link Click is defined, there’s no reason to go much further here. Instead, I wanted to reinforce this. When you track CPC as a key performance indicator, do you realize what clicks are included? Are you okay with the fact that this includes many low-quality clicks that never result in the loading of an external web page? Advertisers focusing on this metric when measuring the success of an ad sending people to a landing page are making a mistake. And, more than likely, they are creating a very large gap between CPC and Cost Per Conversion. Not surprisingly, an Outbound Click would be reported any time you click a link that takes you away from Facebook. This should be your focus when reporting clicks to your landing page, right? Not necessarily. The newest of the click metrics, Landing Page Views measures the number of times a person clicked on an ad link and then successfully loaded the destination web page or Instant Experience. The primary requirement of Landing Page Views is that you must have the Facebook pixel installed. While this is similar to Outbound Clicks, there’s one very important difference: Page load. Outbound Clicks don’t require the click to result in a full load of the page you’re going to, whereas Landing Page Views do. This may seem like a minor detail, but it’s an important one. Someone may click on an outbound link from your Facebook post, but they may immediately abandon the loading website. If the site doesn’t load long enough for the Facebook pixel to fire, Facebook doesn’t know that the page was loaded. Why may this happen? Maybe the person clicking has a poor internet connection. Or they click frequently and accidentally. This matters. It’s about quality. A click on an outbound link lacks value if it doesn’t result in a page load. Landing Page Views provide some confirmation to the value of that click. 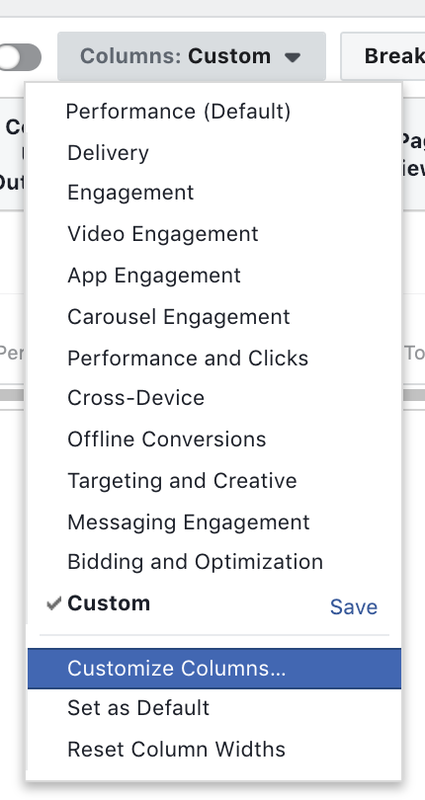 There are two primary versions of CTR when it comes to measuring rate of engagement with a Facebook ad: Outbound and Link Click. Once again, we’ve covered both already. Just know that Link Click-Through Rate is going to include the click rate on all links while Outbound CTR will include clicks only on Outbound links. Link Click-Through Rate may provide a better measure of engagement while Outbound CTR is a clearer measure of rate clicks related to an outbound landing page you are promoting. People often ask why Unique Link Clicks will be less than Link Clicks. Understand that “Unique” is measuring the number of people who performed an action. For example, you may have 38 Link Clicks and 33 Unique Link Clicks. This is because there were 33 unique people who created those 38 link clicks. In other words, some of those clicks were performed multiple times by the same person or people. Maybe you’ve been using Link Clicks and Cost Per Link Click when measuring success of ads that send users to your website or landing page, thinking that all clicks were on your promoted link. Using Landing Page Views and Cost Per Landing Page Views likely makes more sense. Keep in mind, however, that there may be some shock when you make the switch. If you previously thought you were getting a good price while using Link Clicks, your evaluation may change when seeing that you get fewer Landing Page Views. The Cost Per Landing Page View will then, of course, also be higher. It’s good. You should know the truth. But you may also need to adjust expectations. Let’s recap in order of highest volume down to least. Clicks (All) includes all of the clicks we discussed in this post, whether on links or not. Link Clicks includes clicks on any link, whether directing people on or off of Facebook. Outbound Clicks are clicks that direct people away from Facebook. Landing Page Views are recorded only after a click results in the load of a web page and Facebook pixel. Unique [Clicks (All), Link Clicks, Outbound Clicks, Landing Page Views] focuses on the number of unique people who performed clicks. All of these metrics have a purpose. The Clicks (All) metric is good for measuring total engagement on a post or ad while Landing Page Views (and even more precisely, Unique Landing Page Views) is best for measuring quality clicks to an external website or landing page. Then find all of the “click” metrics discussed in this post. How do they compare? What gaps are there between them? How might you explain the difference? Which click metrics do you rely on when measuring results?